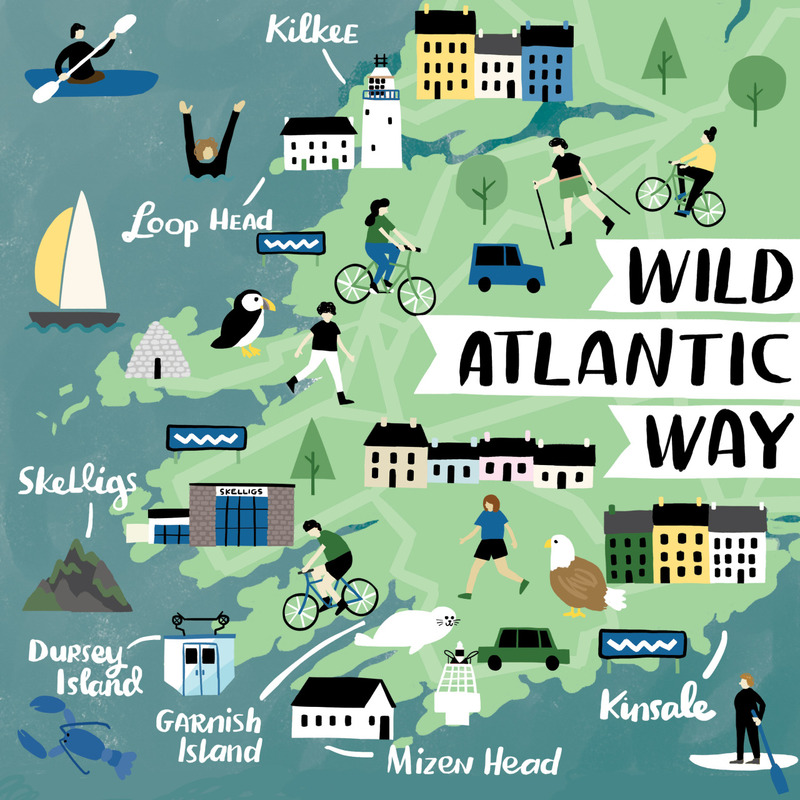 One of Ireland’s leading illustrators Fuchsia MacAree has created this wonderful map of the Wild Atlantic Way for Cara, the Aer Lingus in flight magazine. Of course Fuchsia chose to place a bicycle where the planned Tralee to Fenit Greenway and the Great Southern Trail will be located ! You can check out more of Fuchsia’s work on her website.